While searching for a photo that would best depict what I’m attempting to verbalize I came across the above and knew I had hit the jackpot with this one. It was perfect! You see, life is experienced as the picture shows…inwardly, and it’s how we see the world outside of ouselves. The outsise world is a direct reflection of our inner self. To get a better understanding we’re going to use the above photo as an example. Replace the gentleman in the photo with yourself. Now, although, you are facing the world you are really ‘seeing’ yourself. We are the mirrored reflection of the inner you. It is through us do you come to know the greater self. The self that is the living force behind the mind and body. The being without shape or form. Just a thing of omnipresence. That stuff/substance the Creator is made of. THAT’S the you I’m speaking of. And because this is the case, reality is shaped by you, through you and around you. Reality – the state or quality of being real. But what makes some thing real? And real to who? The answer to both of those questions are YOU. That’s right! You are the architect of your reality. You have the ability the draw up a new blueprint and build a new one at any given moment. However, before this can be acieved, you must first have an understanding of how reality is created to begin with. Your reality is your own personal world where you and you alone reside; and while yes our worlds may collide every now and again, your reality is your personal space to do with it as you so choose. 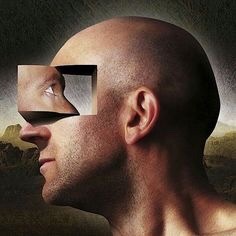 Reality is that place you think you see when looking through the eyes of man and is confirmed by the brain’s chemical reaction and the physical sensations felt throughout the body. Reality is a make – believe world where you’re made to believe all that is before you is real. At least ‘real’ for you. And chances are the reality you have been living in up to this moment was constructed for you and not consciously/purposefully by you. So what would you have to do to change your current reality? 1. Begin by looking at things from more than one point of view. 2. Change the contents you’re exposing yourself to. Begin watching inspirational videos that shows courage, humanity and the struggles of successful people. 3. Invest in yourself and seek outside help. 4. Do less judging and become more curious in an attempt to gain a better understanding. 5. Be willing to learn more than you already know. 6. Apply what you are learning in real life situations. 7. Pay attention to your thoughts and sensations (emotions). By starting with those few tips you will experience a significant change in your reality. But keep in mind the above must be practiced while in the NOW, when you have the most influence over the reshaping of your reality. What are you waiting for? Get out there and start reshaping!